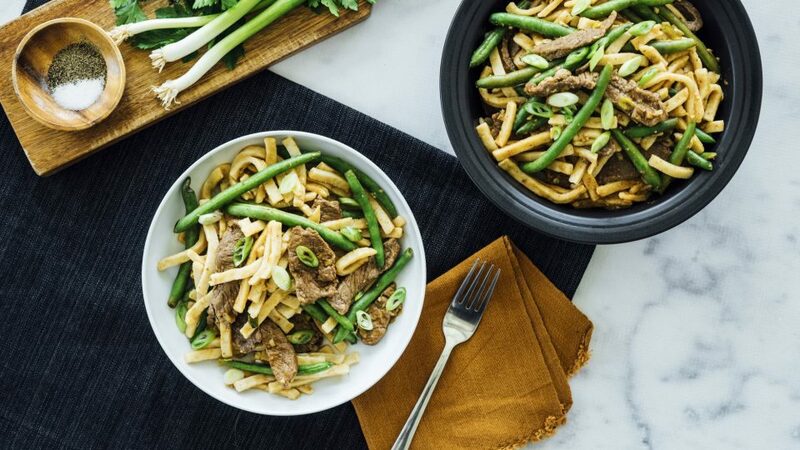 You’ll love this recipe for hearty takeout-style beef and noodles. 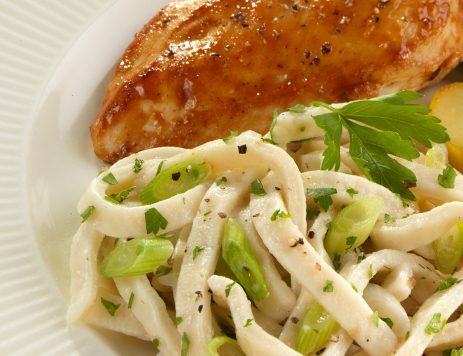 Made with Reames® Homestyle Egg Noodles, this dish brings all the flavor to your dinner table in less time than delivery. Bring a pot of water to a boil. Boil the noodles according to package instructions. Meanwhile, heat oil over medium-high heat in a large pan. Add the beef and cook for a few minutes, turning after a minute or so. Sprinkle cornstarch and pepper over beef and stir to coat. Add green beans, garlic and ginger. Cook, stirring constantly, about 2 minutes. Stir in green onions, rice vinegar, soy sauce, and sriracha. Cook for 3 to 4 minutes, letting the sauce thicken and reduce. Add cooked noodles to pan with the beef and broccoli. 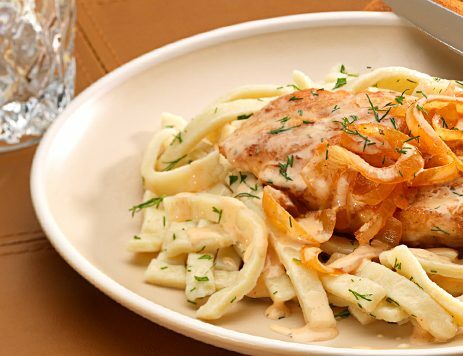 Use tongs to toss noodles until well-coated in sauce. Drizzle sesame oil over top, then serve.